At The New Woodshed, fine dining gets a charming, comfortable twist inside a restored circa 1820 New England post-and-beam barn. 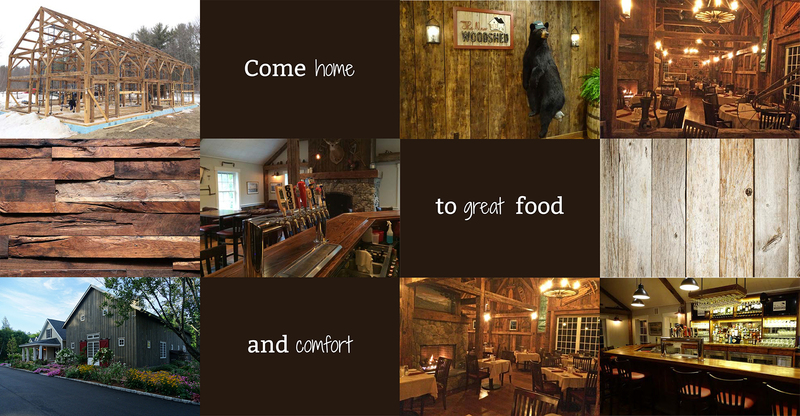 We pride ourselves on exceptional service and atmosphere, and you’ll want to linger at your table as you enjoy some of the area’s finest steaks and seafood beneath exposed hand-hewn timbers and antique barn board. The Shed, our pub at The New Woodshed.